Reginald Clifford Allen, the son of Walter Allen, a drapery merchant, was born in Newport, South Wales, on 9th May 1889. Educated at Berkhamsted School and University College, Bristol, where in 1907 he won a scholarship to Peterhouse College, Cambridge. Walter Allen, an Anglican and strong supporter of the Conservative Party, was disappointed when his son developed left-wing political opinions at university. Allen was elected president of the Fabian Society at Cambridge University and his impressive performances in the debates at the Cambridge Union brought him to the attention of Sidney Webb who arranged for him and G. D. H. Cole, his contemporary at Oxford University, to join the Fabian Society Executive. However, his pacifist views upset Beatrice Webb who wrote: "The inner circle of the Fabian Society is distinguished for the intensity of the difference of opinion with regard to the cause of the war and the right way of ending it. Clifford Allen, the youngest member of the Executive, is a fanatical anti-war pro-German advocate who distorts every fact to prove his country wrong." After leaving university Clifford Allen was employed as a manager of the first Labour Party daily newspaper, the Daily Citizen. 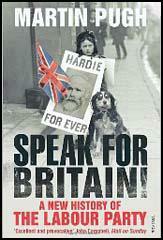 Working for the newspaper brought him into contact with Ramsay MacDonald. The two men became close friends and both shared the same socialist and pacifist views. In 1914 Allen wrote a pamphlet, Is Germany Right and England Wrong?, where he argued against Britain becoming involved in an European war. When the First World War was declared two pacifists, Clifford Allen and Fenner Brockway, formed the No-Conscription Fellowship (NCF), an organisation that encouraged men to refuse war service. The NCF required its members to "refuse from conscientious motives to bear arms because they consider human life to be sacred." As Martin Ceadel, the author of Pacifism in Britain 1914-1945 (1980) pointed out: "Though limiting itself to campaigning against conscription, the N.C.F. 's basis was explicitly pacifist rather than merely voluntarist.... In particular, it proved an efficient information and welfare service for all objectors; although its unresolved internal division over whether its function was to ensure respect for the pacifist conscience or to combat conscription by any means"
The group received support from public figures such as Bertrand Russell, Philip Snowden, Bruce Glasier, Robert Smillie, C. H. Norman, William Mellor, Arthur Ponsonby, Guy Aldred, Alfred Salter, Duncan Grant, Wilfred Wellock, Maude Royden, Max Plowman and Rev. John Clifford. Other members included Cyril Joad, Alfred Mason, Winnie Mason, Alice Wheeldon, William Wheeldon, John S. Clarke, Arthur McManus, Hettie Wheeldon, Storm Jameson, Duncan Grant, Max Plowman and Rev. John Clifford. At first the organisation carried out a nationwide political and propaganda crusade against both the war and the introduction of compulsory military service. After the passing of the Military Service Act, the NCF mounted a vigorous campaign against the punishment and imprisonment of conscientious objectors. As a pacifist Clifford Allen refused to serve in the British Armed Forces and at his Military Tribunal he said: "We are all young men, and life is a precious thing to such men. We cherish life because of the opportunities for adventure and achievement which it offers to a man who is young. They say our country is in danger. Of course it is, but whose fault is that? It will be in danger in fifty years time, if our rulers know they can always win our support by hoisting danger signals. They will never heed our condemnation of their foreign policy if they can always depend upon our support in time of war. There is one interference with individual judgment that no state in the world has any sanction to enforce - that is, to tamper with the unfettered free right of everyman to decide for himself the issue of life and death." Clifford Allen served 16 months in prison. Unwilling to co-operate with the prison authorities, Allen was placed in solitary confinement and put on a diet of bread and water. Suffering from tuberculosis and close to death, he was released in December 1917. The Non-Conscription Fellowship dissolved after the war. Allen was still very ill and had lost the use of one lung as a result of the prison-contracted tuberculosis. He returned to his activities as a member of the Independent Labour Party and in 1921 he was selected as their candidate in the safe-seat in the Gorbals in Glasgow. However, ill-health forced him to withdraw from the contest. Fenner Brockway later wrote: "Among all the men I have known, Clifford Allen was unique in his magnetic quality. He was frail in appearance, slight with bent shoulders, his features of classical beauty, a total impression almost feminine; at the same time his voice was rich and deep, he was confident and masterly in decision, and had a genius for organisation. Clifford Allen worked closely with H. N. Brailsford, the new editor of the the ILP newspaper, the New Leader (the former Labour Leader). 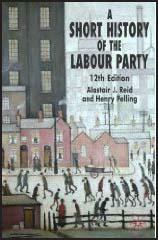 As chairman of the party, Allen helped to formulate ILP policy with pamphlets such as Putting Socialism Into Practice (1924), The ILP and Revolution (1925) and Socialism in Our Time (1926). After resigning as chairman of the ILP he helped manage the Daily Herald, a newspaper now owned by the Labour Party and the TUC. Allen was also kept busy using his contacts with wealthy pacifists to raise funds for the Labour Party. Allen surprised his left-wing friends when he decided to support the National Government formed by Ramsay MacDonald in 1931. MacDonald gave him a peerage and as Baron Allen of Hurtwood, supported the government in the House of Lords. Allen gradually became disillusioned with Ramsay MacDonald's administration and began to concentrate more on his work with the League of Nations Union. Ostracized by the members of the Labour Party who interpreted Allen's actions as a betrayal of socialism, Allen formed his own political organisation. Based on ideas expressed in his book Britain's Political Future (1934), The Next Five Years Group (NFYG) attempted to develop a political programme that could be endorsed by leading figures from all the main political parties. Although the NFYG obtained considerable support from national newspapers and the former prime minister, David Lloyd George, the group was eventually destroyed by internal conflicts. Allen also formed the Anglo-German Fellowship Group, a collection of politicians, journalists and academics with the objective of reducing tensions between Britain and Germany. The group developed a comprehensive plan for a new European settlement and although Clifford Allen met Adolf Hitler, the German leader showed little interest in a negotiated agreement. Accepting that war now seemed likely, Allen began to make plans to form an organisation that would resist military conscription. In December 1938 Clifford Allen became seriously ill and moved to a Swiss sanatorium. He died there, aged forty-nine, on 3rd March, 1939. The inner circle of the Fabian Society is distinguished for the intensity of the difference of opinion with regard to the cause of the war and the right way of ending it. Clifford Allen, the youngest member of the Executive, is a fanatical anti-war pro-German advocate who distorts every fact to prove his country wrong. (2) Clifford Allen made the following statement at his Military Tribunal in 1916. We are all young men, and life is a precious thing to such men. We cherish life because of the opportunities for adventure and achievement which it offers to a man who is young. They say our country is in danger. Of course it is, but whose fault is that? It will be in danger in fifty years time, if our rulers know they can always win our support by hoisting danger signals. They will never heed our condemnation of their foreign policy if they can always depend upon our support in time of war. There is one interference with individual judgment that no state in the world has any sanction to enforce - that is, to tamper with the unfettered free right of everyman to decide for himself the issue of life and death. As a leading socialist absolutist, Clifford Allen, informed his Tribunal in March 1916: "I am a Socialist, and so hold in all sincerity that the life and personality of every man is sacred, and that there is something of divinity in every human being, irrespective of the nation to which he belongs." Like the N.C.F. 's credo, this declaration defined a position which was undoubtedly both pacifist and political: it revealed that even when inspired by political values true pacifism springs from a`moral' imperative rather than from "political" expediency. Indeed, once Allen and his fellow absolutists found themselves in prison they became more than ever convinced of the difference between pacifism, rooted in the individual's conscientious adherence to what he knew to be right, and the strategy of war-resistance which, however justified in political terms, was itself a form of coercion. By May 1917, after a year in gaol, Allen had come to realise that even by sewing mailbags he was releasing labour for the war-effort and decided to cease all co-operation with the prison authorities; yet he refused to urge others to do likewise as part of an organized campaign, since he believed that such a decision could arise only out of "profound conviction". From this perspective an organized campaign against war could itself be regarded as riding roughshod over the individual conscience in the same way, albeit not to the same degree, as conscription. Among all the men I have known, Clifford Allen was unique in his magnetic quality. He was frail in appearance, slight with bent shoulders, his features of classical beauty, a total impression almost feminine; at the same time his voice was rich and deep, he was confident and masterly in decision, and had a genius for organisation.